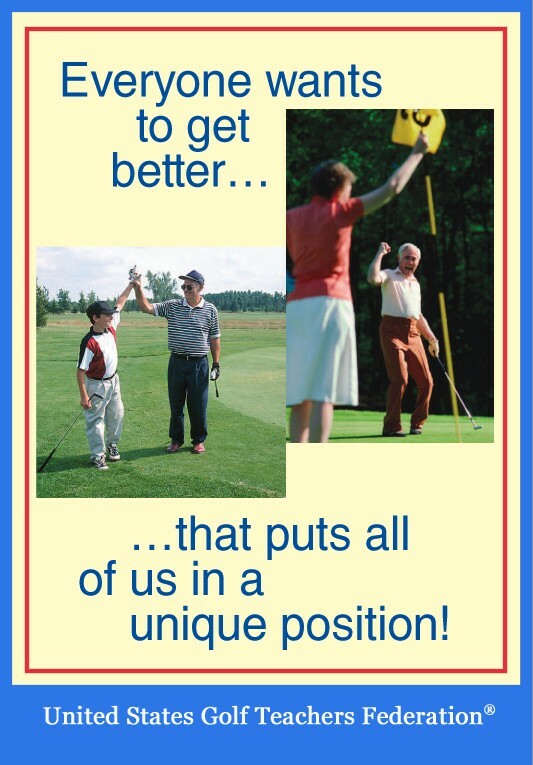 As golf teaching professionals we have it pretty good. Our students put us on a pedestal just because we can hit a little ball straight. We’re thought of as highly as their doctor, financial adviser or lawyer (well maybe not lawyer). Let’s just say we hold a pretty lofty position in the public eye. Ah, but it wasn’t always the case. In the 500 years that golf has been played, it has only been about 70 years that professionals have been allowed to enter the clubhouse of a private course. In the early days of golf, pros were considered to be less than second class citizens. To trace the roots of our profession, we must return to the year 1740, a period of relative prosperity in Scotland. Many a merchant made fortunes trading wool and cotton and began to enjoy the privilege and respect of their new found wealth. Bonding together and having the time and money to spend on leisure activity, they began playing golf on weekdays, something humble townsfolk could never afford to do. Golf itself was an expensive proposition primarily because of the cost of the feather balls used at the time. Thus, only the wealthiest played regularly. Naturally, such a class of citizen would not do such menial tasks as take care of the golf course or carry clubs. They hired townspeople to serve them. For many of the locals it became a useful way to supplement their incomes. Eventually, the more enterprising, took to caddying regularly, tending to the course, making balls and building or repairing clubs. It was only a matter of time before the servants began playing golf themselves. I mean if you hung around a golf course all day, could you resist the temptation to try playing? Unfortunately, earning a living off something as frivolous as golf did little to elevate the status of the men who did. On the scale of social distinction such people were lower than common laborers. As golf grew more popular among the elite, golfing clubs began to form and more new courses began to appear across Scotland. The growth required more equipment, balls and people to service this expanding economy. Enter the golf professional. The father of our grand trade is widely acknowledged to be Allan Robertson of St. Andrews. Robertson was best known as a producer of feather golf balls but he was also the finest golfer to break 80 on the Old Course. One of the ways professionals made money in those days was in head to head challenge matches. Legend has it that Robertson never lost such a match. It was during Robertson’s later years that the popularity of golf exploded due to the introduction of the inexpensive gutta percha ball in 1848. More people than ever began playing but only a handful, the professionals played it well. Their superior ability however, did nothing to improve their social status. Golf professionals knew their place and abided by the expectations of the general society. It would remain so for another seventy years. To their discredit a lot of early pros did not help their image. They were often hard drinkers and generally unkept. In fact for the British Open in 1860, practice round spectators were so appalled at the appearance of some of the pros that the tournament committee bought each a suit of clothing to wear on tournament day. Fortunately, the golf played by the eight contestants in the inaugural Open was outstanding, bringing large crowds and high praise from the local newspaper. As the game grew, more sophisticated professionals appeared on the scene. Old Tom and Young Tom Morris, Willie Park and the great triumvirate of Harry Vardon, James Braid and J.H. Taylor dominated golf from 1860 to 1915. Taylor was the first of these golfers to take the lead in trying to elevate the social status of his fellow professionals. He was instrumental in forming the first Professional Golfers Association in 1901 calling for improvement in wages and working conditions. Things started to get better but amateurs or sporting gentlemen as they were referred to still controlled golf and the fate of their hired hands. The American touring golf pro was probably most responsible for raising the golf professional’s status to the lofty position we currently enjoy. I would have to say it was primarily one man, my personal hero – Walter Hagen. At the 1920 British Open, Hagen was rebuked by a steward for entering the clubhouse to change shoes. Apologizing for not having known the rules, he then told the steward that for the remainder of the stay, he would be changing in his limousine, which would be parked in front of the clubhouse each day. It was a bold move but typical of Hagen. The British people fell in love with him, yet in subsequent trips he was still banned from the clubhouses. Then at the ‘24 Open he finished second and for the first time was invited into the clubhouse for the presentation of the trophy to Arthur Havers. He politely thanked the committee and declined. He then turned to the crowd and told them that in the entire time of his stay he was not allowed in the clubhouse, so instead he was inviting everyone to the pub where he was welcome all week for a drink and to thank them personally. The gallery followed him to the pub leaving only the tournament committee and Havers. Certainly there were a lot of factors that changed the fortunes of golf pros besides Hagen, but he was probably the first to expect a certain level of respect. For that I think we should all be grateful.